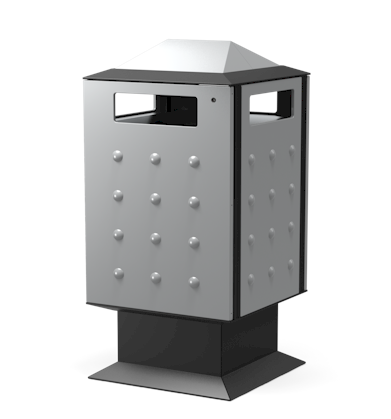 The Superpole is a robust and contemporary litter bin with many possibilities. It is available with various insertions for, among other things, litter, tins and paper to enable waste separation. By varying colours, the Superpole can project the desired atmosphere: standing out or blending in, stylish or lavish. Would you like to know more about the Superpole? Check the possibilities: Superpole Prestige and Superpole. The Superpole is supplied with a special bag holder frame or an aluminium inner liner. 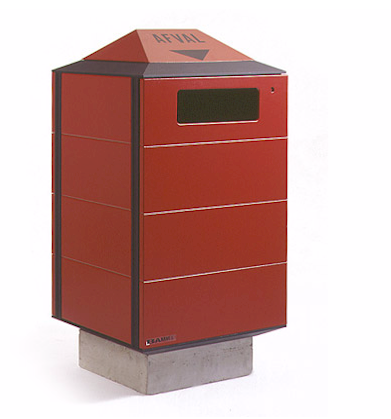 The Superpole can be placed in a joined set-up for collection of more litter in one place. The standard Superpole can have different colours per panel. 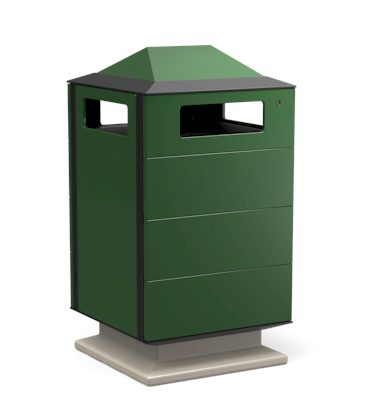 Combat litter with our waste bins. Sleek design, vandal resistant and with various extra options. Available in many types, sizes. Many waste bins that you see on the street come from our factory. They are meant to be of service to passersby and to prevent litter. Royal Bammens makes them in the most diverse types and sizes, from 35 to 240 liters, and in every conceivable color. Standard or fully customized, but always to your liking.